A person’s willingness to serve God in the capacity as an usher reflects their commitment to Christ. To be a friendly and welcoming presence to those coming to worship here at St. David is a further reflection of your commitment to serve this Parish. By assuring a welcoming presence and orderly seating at all Masses offered in this Parish, you enhance the beauty of the Liturgy and become an instrument through whom God may be present to those in worship. 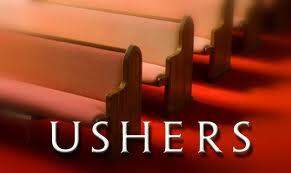 The usher is a person chosen to reflect the warmth and welcome of Christ himself. Always conscious of Christ’s words “For I was…a stranger and you welcomed me,” (Matthew 25:35), ushers are usually the first official representative of the church that people meet when they arrive. The ushers’ dress, attitude, words, demeanor, body language all speak a message to the worshiper. As God’s servants to his people, ushers should take care that nothing interferes with the awesome character of this encounter between God and his people at this time and place. If you are interested in serving as an usher, please contact the Rectory at 215-657-0252.